United Airlines is at the center of a firestorm after a video went viral showing a passenger being dragged off a plane by police officers. But there are still questions as to why United didn't better handle the situation before police arrived on site. Here's what happened: United needed to make room on its full flight from Chicago to Louisville for four crew members that were needed at the plane's final destination. The airline says it first asked volunteers to give up their seats in exchange for $1,000, but when no one volunteered, the gate agent selected four people to de-plane. A 69-year-old male passenger, who has been identified as David Dao, a doctor living in Kentucky, refused to give up his seat after being told by United employees he must leave. Three police officers working for the Chicago Aviation Department then forcibly removed Dao from the plane. Dear United Airlines: People have smart phones. Perhaps @MerriamWebster can help #United Airlines with the definition of "volunteer"
Look on the bright side, United Airlines. After this incident, you'll never have to worry about a flight being overbooked again. The situation escalated to an unacceptable point: Dao was treated for injuries he suffered to his face, a police officer involved in the incident has been placed on leave, and the government is reviewing the events that transpired. United referred to its "Contract of Carriage" in this situation, which says it can deny boarding to passengers if a flight is overbooked and no one volunteers to give up their seat. UA will request Passengers who are willing to relinquish their confirmed reserved space in exchange for compensation in an amount determined by UA (including but not limited to check or an electronic travel certificate). The Department of Transportation limits the amount an airline can compensate passengers who are involuntarily bumped from a plane to a maximum of $1,350. However, there is no federal limit on the amount an airline can offer volunteers to give up their seats. 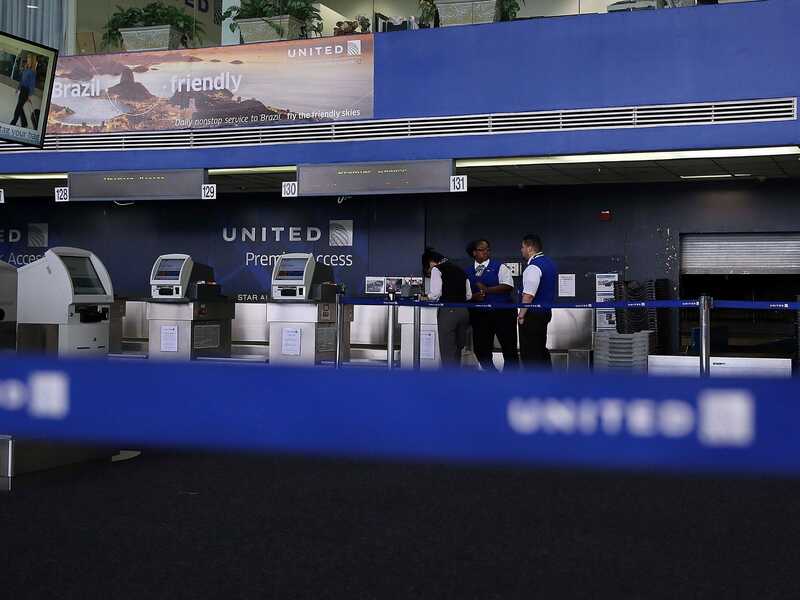 Aviation analyst Henry Harteveldt questioned why United didn't try and offer a bigger incentive when the situation started to escalate in an interview with Business Insider. "There's no limit to what an airline can pay," Harteveldt said. "It's generally cheaper for an airline to proactively ask people to give up their seats because the compensation is usually less." Harteveldt added its in the best interest for an airline to offer bigger incentives because the carrier doesn't need to disclose when people volunteer to give up their seats. An airline must tell the Department of Transportation anytime it denies boarding to a passenger. A Delta customer wrote in a Forbes article that she once received $1,350 for volunteering to give up her seat on a flight from New York to Florida, highlighting how the going rate for domestic flights has exceeded $1,000. United's contract, which customers agree to when they buy a ticket, says it will select who will be denied boarding based on the "passenger's fare class, itinerary, status of frequent flyer program membership, and the time in which the passenger presents him/herself for check-in without advanced seat assignment." Passengers with disabilities and minors under the age of 18 will be the last to be denied boarding, according to United. But there's also questions as to why United began looking for passengers to give up their seats once they were already on the plane. According to Harteveldt, this is highly unorthodox. "I cannot recall the last time I have seen or heard about a gate agent going onto a plane to remove a revenue customer from that flight because of involuntary denied boarding," Harteveldt said. "To remove a paying customer from a flight is extremely rare." There's no way to tell that the situation could have been avoided had United offered bigger incentives to volunteers. But it seems like there were other avenues for the airline to de-escalate the situation earlier.